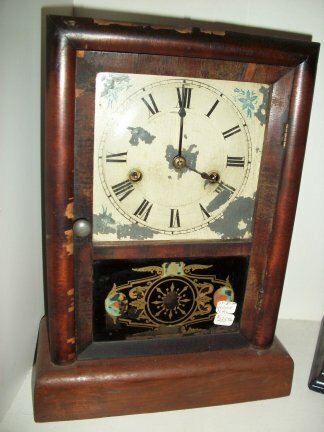 30 HR MANTLES-184-30 HOUR COTTAGE CLOCK MADE BY THE JEROME CLOCK CO. 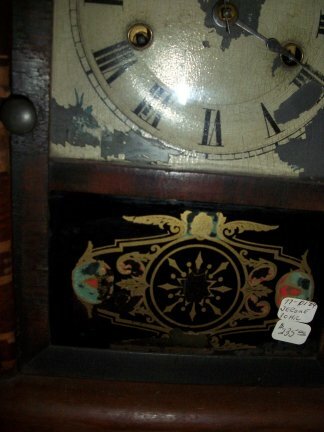 This is an early 30 hour cottage clock by the Jerome Clock Company. The face is made of zinc and some of the paint has left the surface. 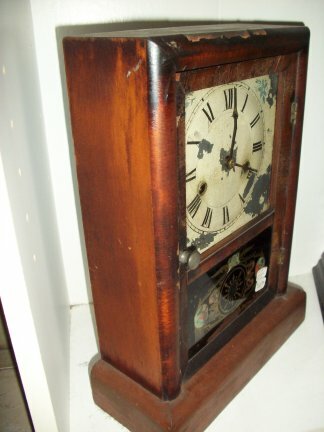 Some of the veneer also is missing but over all for the sage of the clock it is in pretty good shape. Closer view of clock tablet.